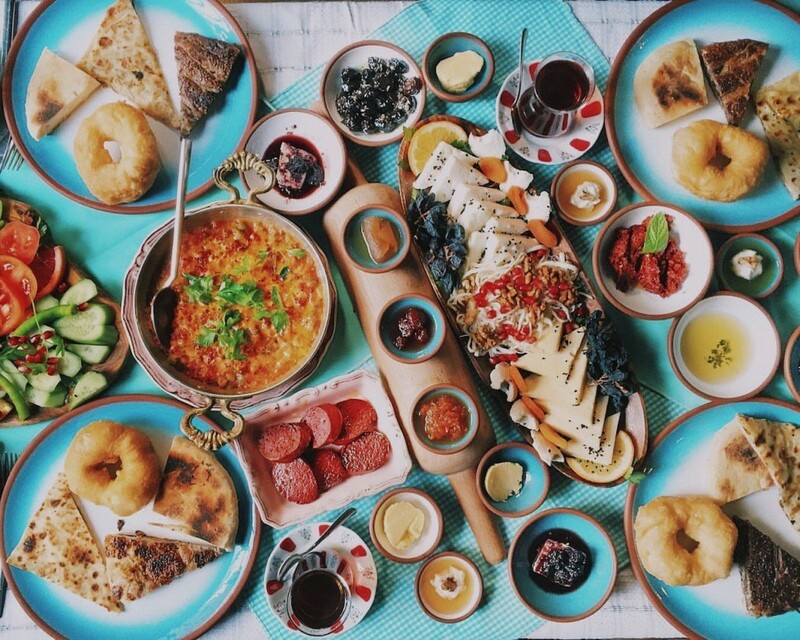 You can find the list of the best breakfast plaes in Istanbul where you can enjoy hand-made pastries, freshly fried donuts, and various types of local delicacies for breakfast from all around Turkey. Here is a list of Best Breakfast Places in Istanbul nearby Taksim, Galata, Cihangir, Karakoy and Bosphorus. Being the second branch of Cesme Bazlama Kahvalti, it’s a highly popular place thanks to its original delicacies in its menu. One of the most popular item in the menu, flatbread, is served with butter from Trabzon, handmade sausage from Kayseri, handmade jam, the best black mulberry and goat cheese from Aegean region. Unlimited tea is a part of the menu and thanks to the warm starters that are served off and on, customers are able to enjoy the fresh food. 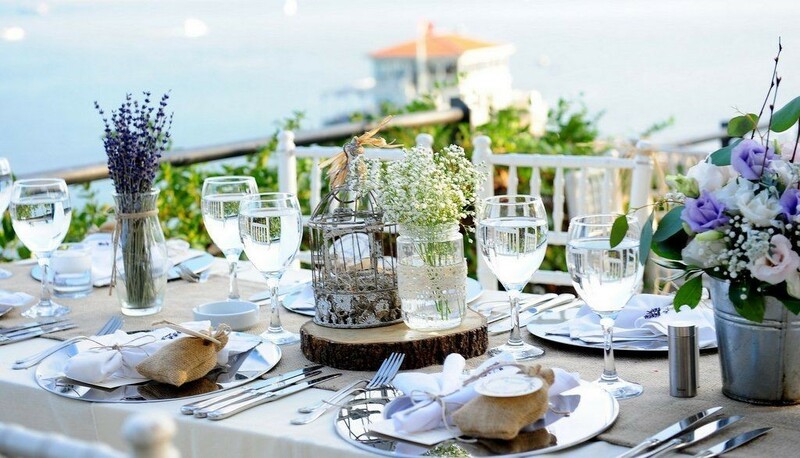 If you prefer to have a breakfast with a breathtaking Bosphorus view, you can choose Nar Kafe and make your own breakfast plate by choosing menus named as Idil, Demet, Asli etc. Nar Kafe’s promising menu includes such items as leek pastry, spicy veggie omelet with goat cheese as well as imported cheese and hot dog. Kahve 6 definitely comes forward with its unique menu that includes such options as falafel plate and Chinese plate. In addition to such original items, handmade eggplant and leek pastry are also popular among Kahve 6’s regulars. Additionally, you can enjoy your brunch at Kahve 6 and taste handmade meals and olive oil dishes too. Cakmak Kahvalti Salonu is on Besiktas’ one of the streets where cafes are lined one after another that are ideal for breakfast. Choosing eggs for breakfast accompanied by cheese, olives, jam and Turkish cream doesn’t sound too bad at Cakmak Kahvalti Salonu. Namli Gurme is definitely a must go place in Istanbul. 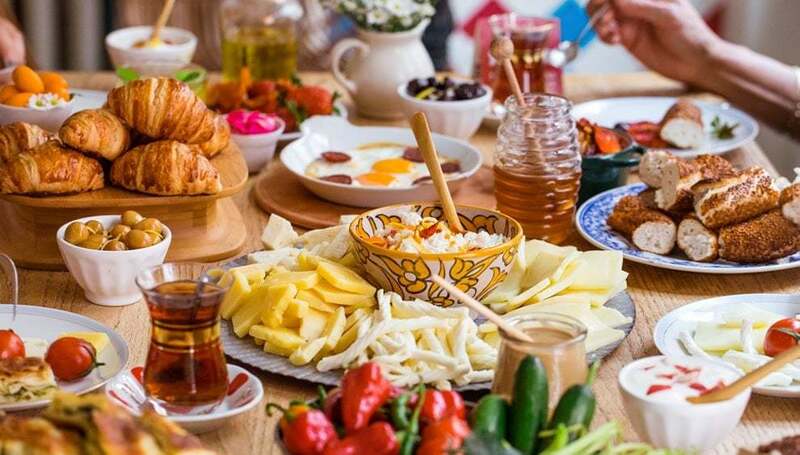 Firstly, you can buy the food you like for breakfast from the delicatessen section that has everything possible that comes to mind when considering a typical Turkish breakfast. Then, Namli Gurme can cook the food for you and all you need to do is just enjoy your meal. Namli Gurme is a successful example that maintains delicatessen and cafe&restaurant concept and it’s not surprising that Namli Gurme was awarded as the best place for breakfast between 2009-2015. 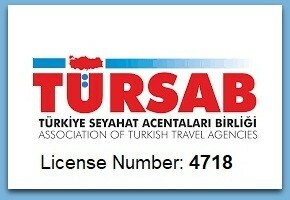 Moreover, it was also awarded as “The Best Food Shopping Place in Istanbul”. The House Cafe is located at the best spot of Ortakoy and you can enjoy the wide view of the Bosphorus from the restaurant. The House Cafe has a colorful and a modern design that will help you forget about the chaotic life in Istanbul for a while. The breakfast in this restaurant is a quite balanced menu. Hot food and classical breakfast items are served together and the way the breakfast is served appeals both to eyes and mouth. After your breakfast at The House Cafe, a walk to Bebek and coffee will be the icing on the cake and it will help you have a great start to your day. 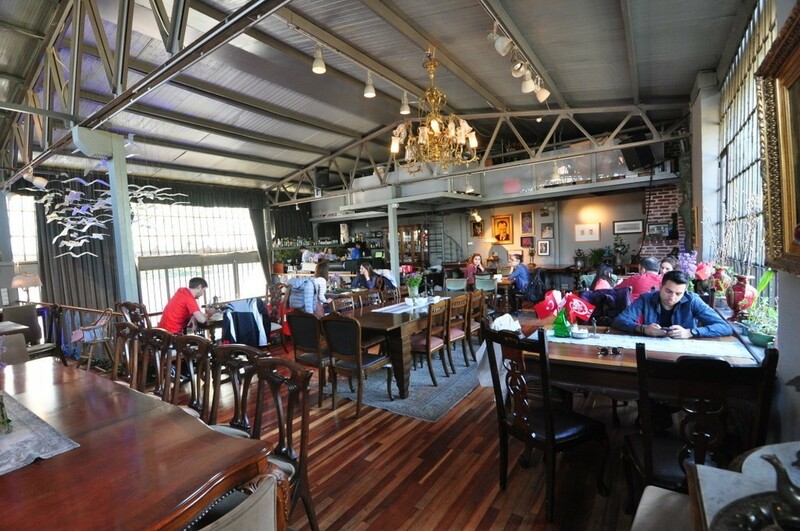 The House Cafe is considered as one of the Best Breakfast Places in Istanbul on European Side. Mangerie has an interesting feature that makes it one of the popular options. Mangerie is open 7 days a week (from 08:00 to midnight) and you can enjoy its amazing food whenever you feel like. Mangerie was also formerly awarded as the Best Place for Breakfast in Istanbul. In addition to breakfast classics, pear-mascarpone toast and focaccia toast are also some of the choices. The breakfast menu at Mangerie gets even richer thanks to items like fruit salad and nut butter. 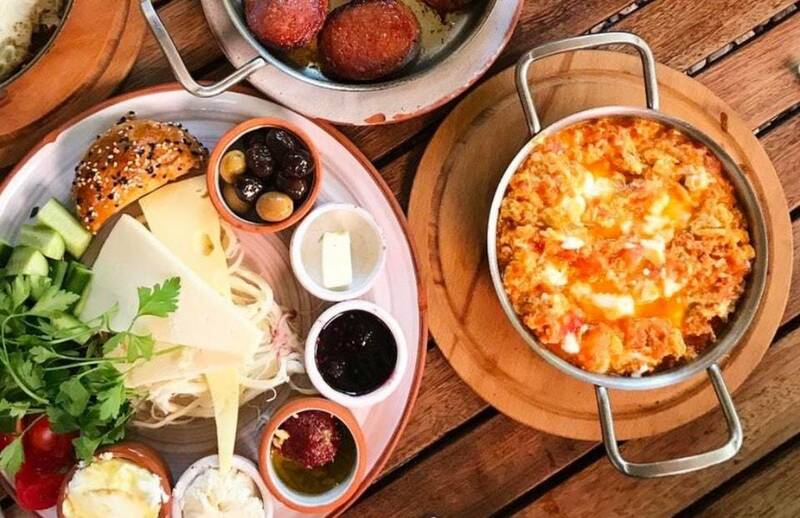 Sutis Emirgan composes its menu with the milk they produce in their own farm and it stands out as a great choice for classical Turkish breakfast lovers. Besides eggs, its amazing pastry choices complete the breakfast that is accompanied by 14 types of organic bread that are made of sourdough. 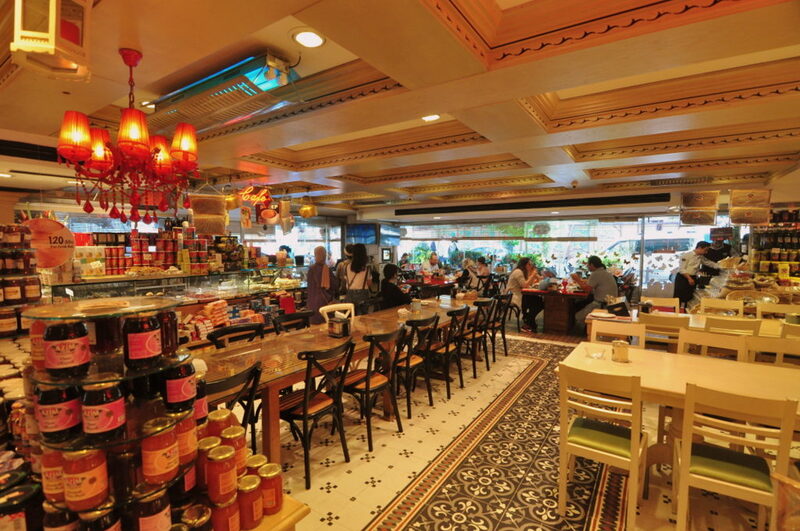 Forno is located at Balat which was heavily influenced by the transformation in Istanbul and Forno is one of such examples. Forno’s open buffet breakfast includes organic jam, eggs on the wood fire, and a lot more different types of choices, which deserves giving a try. If you love pastry, Forno also includes such choices as butter croissant and hot pitta in its buffet. However, you should note that open buffet is available only on Saturday and Sunday, but you can still choose different items from its a la carte menu any day of the week. 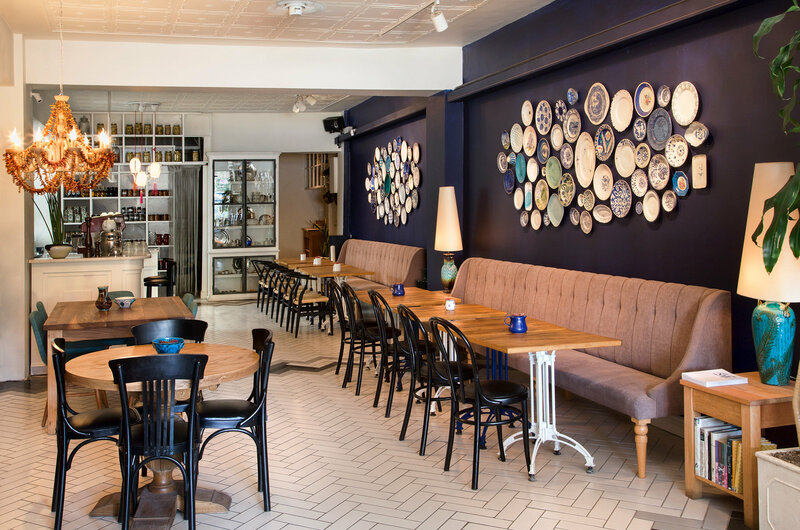 Forno is a little restaurant with too many visitors so that reservation is definitely needed for the weekend. At Naif, you can enjoy Aegean style breakfast with its rich local menu. Bergama tulum cheese, Edremit olives, handmade jam and every other item in its menu is brought to you from its source. Special delicacies like French style eggy bread and omelet with egg make the menu even better. Moreover, the elegant presentation of the breakfast appeals to the eye too. Naif is located in Karakoy Neighborhood which has become increasingly popular for the recent years. Privato is on the right side of the way from Tunnel to Galata and everything at Privato is handmade and organic. In addition to that, the honey served at Privato is from Bitlis and the nut butter is from Giresun. The menu also includes such choices as a honey pancake and different types of pastries. Moreover, Privato’s sugar-free jam just tastes like a real fruit and it’s definitely a must try item in the menu. If you want to have a breakfast at a place that has a vintage atmosphere and delicious food, Privato Café is a good choice. 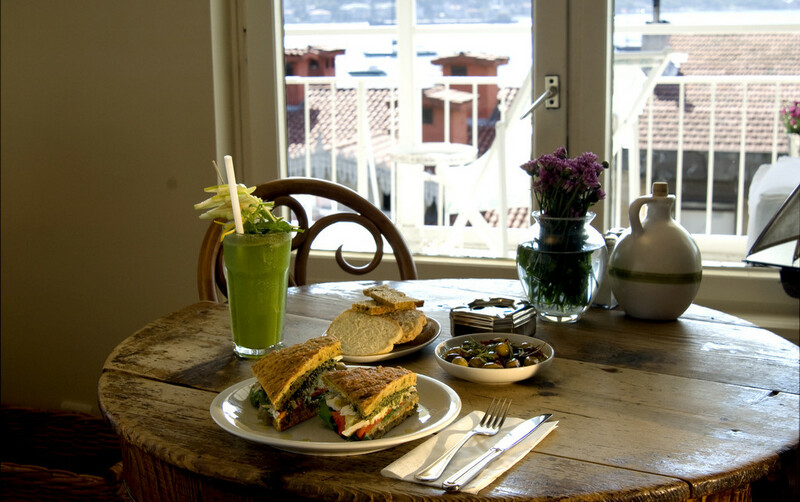 Privato Cafe is located very near to Taksim, Cihangir, Galata and Karakoy neighborhoods. 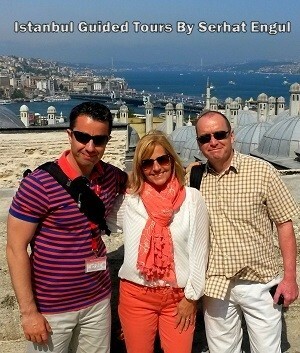 It’s also accessible from Sultanahmet via tram. This central location and unique service makes Private Cafe one of the Best Breakfast Places in Istanbul. Perispri is located in the heart of Fener and it is just a few steps from Fener Greek Orthodox Church. Perispri is an ideal starting point if you wish to take a walk at Fener-Balat neighborhood. You can enjoy your breakfast at Perispri and make a vibrant start to your day. The moment you step in Perispri; you realize the interior part of the café is designed elegantly. Perispri is decorated with the ancient stuff related to the history of Istanbul and you will feel like you were in a time machine at Perispri. However, Perispri has also modern characteristics. Therefore, you will feel the both of the worlds at the same time. The popularity of Perispri is high since it is one of the oldest places in Fener Balat neighborhood. 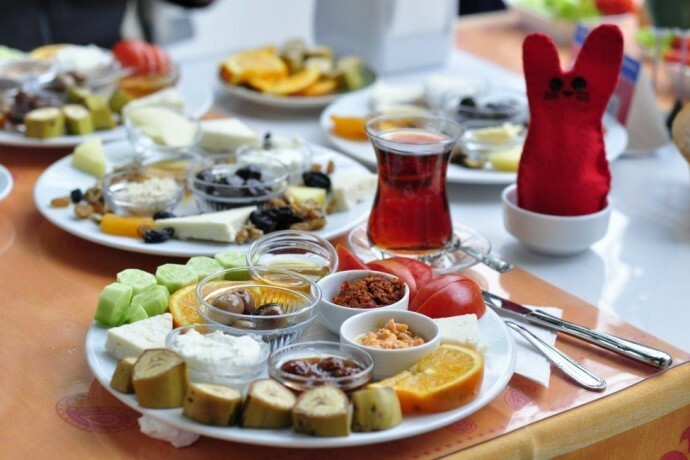 A breakfast plate is 50 TL during the week, while the price goes up to 65 TL on weekends. 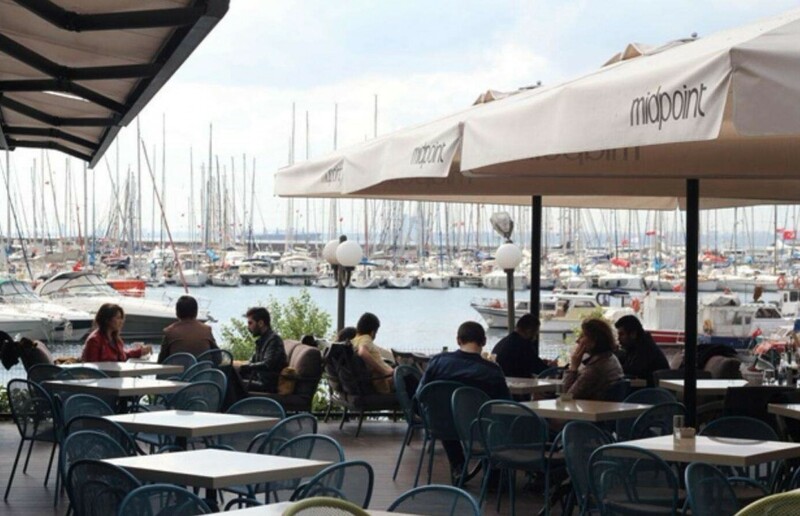 We should note that the price range at Perispri is one a little higher compared to other cafes and restaurants around Halic, but its atmosphere and the food it serves will make you feel special and you will realize it is worth the money. Here is a list of Best Breakfast Places in Istanbul nearby Kadikoy, Moda, Bagdat Avenue on Asian Side. This café brings local breakfast style and foreign kitchen together and it gives you tons of options for breakfast. Local delicacies like boyoz from Aegean kitchen, cornbread from Black Sea kitchen or gruyere from Kars are some of the options on its menu. If you are a vegan or if you bring your kids along, there are special breakfast plates for vegans and kids. If you would like to go for some other options, a classical breakfast plates with cheese, olives, and eggs are some other items on the menu. And if you love just sweet things in your breakfast, you can try French breakfast plate. Van Kahvalti Evi is located at one of oldest neighborhoods of Moda and you can enjoy local breakfast in its spacious garden. Van Kahvalti Evi offers delicious and famous herby cheese, fenugreek paste and molasses with Tahini. All of these items are local delicacies of Van. Thanks to its mixed breakfast, you can try lots of items at Van Kahvalti Evi. Especially, various kinds of cheese are highly recommended. Garda is one of the oldest cafes in Yeldegirmeni neighborhood and it’s located just opposite Greek Church. 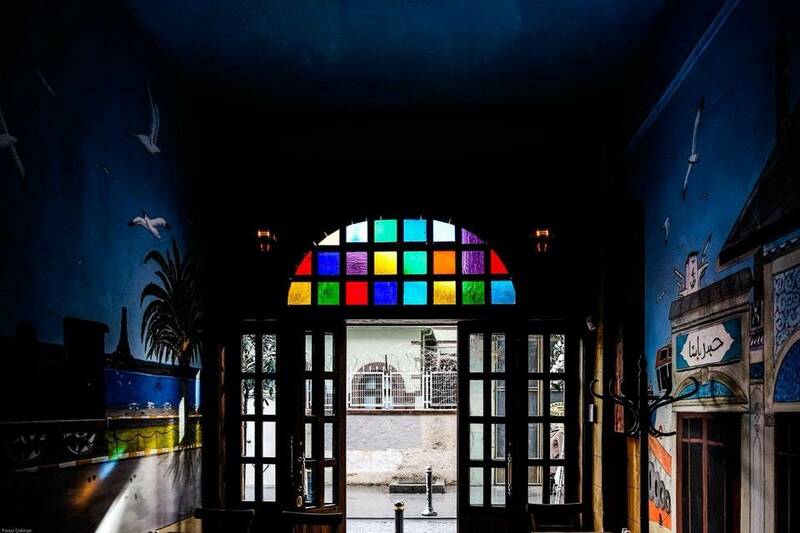 The photos hanging on its walls are from Haydarpasa Railway Station as its name suggests. The café has a quiet and peaceful atmosphere with a railway station concept. Midpoint is located at the best spot of Fenerbahce. Midpoint has a really elegant design and it offers an amazing sea view. However, if you want to sit at the tables nearby the sea, you had better be there before 10:00 a.m. There are two breakfast plates that stand out. One of them is a classical breakfast plate with choices of cheese, tomatoes, olives, and jam. The second one is the breakfast plate called “Warm Breakfast” It comes with such items as french fries and sausages. I highly recommend you to order both of the plates if you go there with your friend or partner . Therefore, you will have a very delicious and balanced breakfast. After your breakfast at Midpoint, you can also visit Fenerbahce Park and take a walk in nature. The park is just a walking distance from Midpoint. Midpoint is definitely one of the Best Breakfast Places in Istanbul on Asian Side. Moda Teras has an amazing view that you can watch Kalamis Bay, Fenerbahce Burnu or even Prince Islands on the Sea of Marmara. Alongside its great view, the breakfast served at Moda Teras is equally amazing. You can choose open buffet option or go for Turkish or American breakfast plate at Moda Teras. You can also have your omelet any way you like. Kuff’s first branch is in Kadikoy’s Yeldegirmeni neighborhood. However, it’s Bahariye branch also welcomes its customers. 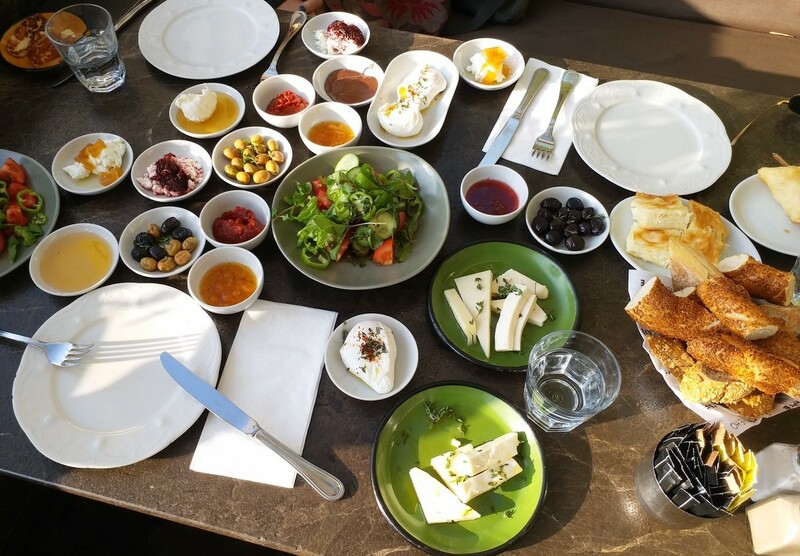 The main breakfast and Turkish village breakfast are some of the options while mixed breakfast for two people is another item in the menu to choose from. There are also fried dough plates and pancakes if you look for alternatives. Additionally, you can enjoy your breakfast with delicious third generation coffee. Beyaz Firin Suadiye is the place for special delicacies like Hatay olive with Za’atar and walnuts, halloumi cheese from Cyprus or tahini with hard consistency on the wood fire. 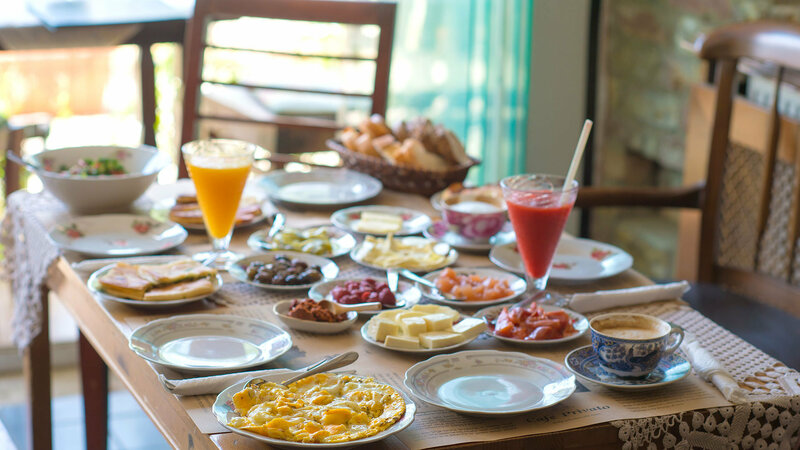 You can expect to see great breakfast options at Beyaz Firin. Breakfast pan that includes fried halloumi cheese, fried eggs on sourdough bread, fried jambon, sautéed mushrooms, cherry tomatoes and, avocado or a special omelet for athletes are some of such delicacies. Where to Eat the Best Street Food in Istanbul?